Much attention has been given to the subject of next generation sequencing (NGS) quality lately. As the MiSeq sequencers from Illumina start to ship and compete head to head with Life Technologies’ Ion Personal Genome Machine, expect the discussion to only intensify in the months ahead. Sequence quality, read lengths, workflow complexity – these are all the arrows that fill a marketing department’s quivers. Having worked as an arrow-maker myself at a platform technology company, I know that one needs to treat the analyses coming from vendors with a grain of salt. A technology can often come out ahead if the question is asked the right way. 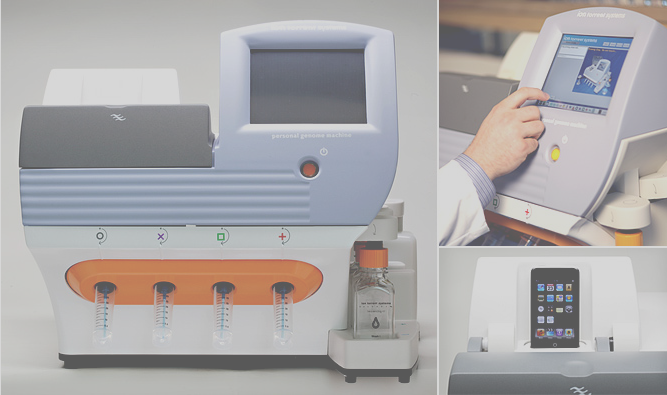 Refreshingly, scientists have taken to blogs and Twitter to offer timely and hopefully less biased comparisons of technologies (including offering such as biolektures' "ion-torrent-qv-prediction-algorithm" and EdgeBio's "Miseq vs. Ion Torrent – Round Two"). The Food and Drug Administration has started a Sequence Quality Control project (SEQC, aka MAQC-III) to attempt to make a more comprehensive comparison of sequence quality, although I don’t envy the challenge they face in keeping up with technological advances. Analyses of sequencing qualities by themselves are interesting but academic without having a specific application in mind. As an example, whereas medical sequencing and diagnostic applications require high accuracy over a subset of the genome, applications like RNAseq and copy number analysis might tolerate more sequencing errors but require high read count and an even coverage of the genome. While one technology may excel in a given application, it might not work as well for another. For this reason, our clients come to us with data from all of the major NGS platforms as well as older technologies like 454 and Sanger sequencing. Given the nuances of different error modes and read coverages of each system, our job is to know which tools work well with which technologies for which applications. Finally, although technologies will continue to differ in their strengths and weaknesses, one constant we should expect is continued improvements from all the vendors as their technologies mature. We’ve been very fortunate to work with Life Technologies to support some of their internal efforts to track and monitor these improvements and we look forward to helping with more external efforts in the future. For another NGS company, we have helped facilitate side-by-side comparisons of their system to other sequencing technologies in discovering cancer mutations. Efforts like these are driven by the market pressure towards ever cheaper, more accurate sequencing data and will ultimately benefit the NGS customer and science in general. Click here to view related testimonial on the 5AM experience.